Hi kids! I'm your substitute teacher today. And you know with a substitute, you could get away with a lot more [Beep] than normal. Today we have a very nice song. I want to go through a lot of things about this mix and mixing in general, I think it will be interesting and productive. So try to listen! What we have today is the song "Gust Of Wind" from Pharrell Williams' album "Girl" out in 2013. This project, and this song especially from the project is probably one of my favorite things I've worked on in recent years. So first we're gonna play part of the song so you can hear the mix. This is the same mix that's on the record. Then we'll go through the parts and we'll break it down and I'll show you the reasons for some of the decisions made in the mix and how this was put together. So... When I get a session to mix, more often than not a Pro Tools session, it's usually sent to me with a rough mix. 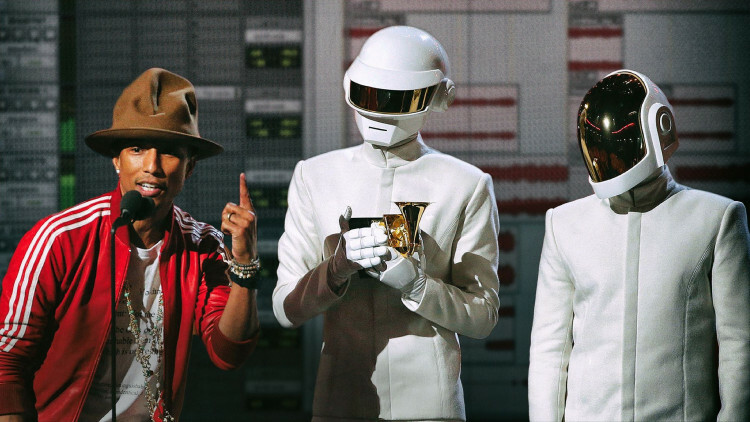 In the case of Pharrell's, the rough mix is very close to what he wants. change the vibe of it. sometimes little balance changes, but mostly the rough is a good guide. Sometimes they just go ahead and there's no rough, and we go from there, but... I have to work in certain parameters on this. Let's look at this group of drums and percussion. We have kicks. There is 3 tracks of kick, an 808, and then kicks with two different sounds. There's a bunch of percussion tracks. And a few clap tracks. And they're all on one VCA, so if you mute this, all the drums mute. If you change this volume, all the percussion and drums change volume with that. And on a surface that you can spill, you attention that VCA, and all those tracks will spill right in front of you, so you can individually control them. Now, you want in a mix a little better control than just all of drums and percussion on one fader, especially in a song like this where the rhythm is so important. So you see each of these tracks —the kicks, the 3 kick tracks— are sent to "kick sub." The snare tracks are sent to "snare sub." Everything else in the kit is "percussion sub" and the claps are "claps sub." So there's a VCA that controls all those, but then down here, there are audio submasters that control those four different elements of that group. So once you get the correct balance in the group, there's plenty of control down here to control it within the mix, without ever going back to the individual tracks. But if you need to, —if the console can spill— all you need to do is attention that VCA that I showed you before, and all the member tracks of that will spill. And I am set with a spill over the audio subtracks, so I can go within that group, adjust anything I want, then turn it back off. And I have my whole song, all the sections, within these group faders. And you just look at it as every group of instruments is treated like that. And all these group faders —the group Auxes— are assigned to a mix bus, a stereo mix bus, and they come back to another Aux down here called "Master." And on that bus, we have a compressor, we have an equalizer, we have another equalizer, and we'll get into why I have two equalizers in there. And then, a final limiter. And I have a VCA controlling all those audio subgroups so I can adjust how hard I hit that Master bus, and how much I have the compressor respond. Then that bus is assigned to a track, and that's where the mix lives, that's where the final mix is done. Now these Aux busses—or subgroups, whatever you want to call them, in this particular song, there's 12 of them— are also assigned to the mix bus, which is the stereo mix bus. So you'll see a little Plus sign next to the assignment. They're also assigned to a stem... a stem bus. So there's a Kick stem, each one will have a different stem bus. There is 12 hidden stereo tracks here that are the stem tracks. After we have the stereo mix, after we have the record done, we make stems, so parts of the song can be used for live performance, things can be removed for different advertising TV purposes. We have a good breakdown of the mix —the same breakdown as we have on the subgroup faders— on 12 stereo audio tracks. So we don't have to go back to the multitrack and do everything else. The mix will play these 12 stereo tracks, and it's the mix. Minus the limiter, of course. One other little point I want to go through on this is that since we're using—on the Master bus we have a compressor, we have two equalizers and a limiter— we don't want to think about the compressor or the limiter on the stems because it's gonna dynamically respond differently to each stem, so it'll change the mix, it won't be the same mix. But when I do stems, I always take... I just Option + drag the two equalizers —in this case there's two— I Option + drag them to every subgroup so when I make the stems, it has the exact same EQ that the Master does. So if you play back all 12 stem tracks, and put that compressor and that limiter on, you will have exactly the Master mix. You know, as a mixer when mixing a song, the songs that are easiest and most fun to mix are the songs that I or any mixer has an emotional response to. Because we can adjust the rhythm where it seems like we accentuate or help make it a little easier to move to. And then we can create a space for all the different sounds to live in, to be an interesting spatial environment, and we can use rides and subtle dynamic moves on each group or each instrument to —I wouldn't say create emotion of the song, but take what exists there and enhance it a little bit. Ok, I respond to this song. What do I respond to? And how can I present this that will make more people respond emotionally to it? I think that's really the key to what mixing is. The rhythmic elements of the song are the drums, bass, and guitar. I've been really trying to get the right perspective to get the... to make you want to move with that. The pianos, the chordal things in the right spot, so they can generate a feeling. There's all these other synth overdubs, which you're really not even cognizant of but they play a really important part. I mean, who really hears that in the song? But the pulse is there. I mean, if you'd took this and mixed it up too loud, it would have sounded pretty ugly. It sounds a little empty. This is the brilliance of Pharrell's production on this. There's always little subtle things, you know as a mixer, you kind of put them in the right place. I guess it's a mixer's ideal to just... a mixer's job to just make sure the perspective is right there to really convey the artist's idea. to where I started on the mix, with the drums, bass, and... and piano. I'm gonna show you some of the processing we used, some of the ways to get the sounds. This stuff all sounded very good coming in, so there's not really that much processing on it. We will start with those two kick drums. You have that 808 on every other downbeat. Ok, so let's go to the first kick. This is just operating as an equalizer, really, just adding a little top to it. I wanted a little more punch out of this kick, so I added this to it. This is the SPL Transient Designer, a plug-in version of it. And what this does is when you turn this towards Attack, it emphasizes the leading edge of the waveform. It boosts the attack, the beginning of the envelope of the signal, so you get a little more of the punch, a little more of the leading edge of the sound. Headphones Recommended It's sort of subtle, so I'm gonna switch back and forth with it running. Headphones Recommended But the reason for that is... Here's the second kick. Not much attack at all. And this helps it punch through. I accentuated the low end just a slight bit with this Pultec plug-in. When you both boost and attenuate the low end, it gives you a boost, and then a cut above it and then it comes back. So you can boost the really low stuff, and then it'll cut a little bit, and then come back up, so the muddy stuff right below the low end is actually attenuated a little bit when you boost the low end. And then I added a little bit of 3K, just for a little more of the click of that kick to add to the attack. So I'll play the two tracks together without the EQ on the second one. A little bit of bottom to the kick. And the next thing that's processed... And that is the snare. This existed on the rough mix, and again it sounded good, so I didn't change it. I added a little lower mid-range here on 2, 2.5, and a little bit around 1.5 here, through the mid-range of the snare, and looks like a tiny bit of top end, so it just gives a little more air, a little more attack. And then on top of that, I did pretty much the same thing as the kick, I used the SPL Transient Designer. So let's listen without that. Headphones Recommended Now that's pretty subtle out of the mix, but I'll show you basically what this does. Let's exaggerate it a little bit. it really messes with stuff if you really take it too far from what it originally was. But just a little bit goes a long way. It just really defines the track in the mix. So... We have another... An 808 kit here. A little Roland 808 tom there, and no processing. Here we have a Cymbal. Same thing. Fine. Like it is. Here's a reverse cymbal swell. Same thing. Now here's the hi-hat coming up. Very, very subtle amount of EQ on that. I just added a little bit around 15k to give it a little air. And there's probably... not even too many playback systems you're gonna hear much of a different sound on that, but... Here it goes. A little hi-hat roll there. So any of those are the elements that make up the drum and percussion track. As you see, there's not too much processing. the most important thing in the mix about these tracks is their proportion, and where they sit, where they're panned, and what their balance is. Anyways, here is... Here is all the drum and percussion tracks, everything we heard together. Now next, let's go to the clap tracks. largest part of the backbeat of this song. So the Claps, there's the SSL Channel on them. —what is that?—8k shelf, to add a little air on those claps. Ok, that one's not too subtle. Then there's these other two clap tracks. Now, one thing I wanted to show you about these clap tracks is this is the first instance here in the session where there's processing on the group where they return, on the submaster aux. there is this equalizer that's just removing low end because they're live claps, there was some room rumble, and that's basically what's taken out there. This is mostly operating as EQ. There is a compressor that brings down the initial high-level attack of the claps, and lets the ambiance come up so you can hear some of the ambience in the mix. Most of the times, I use reverb on a send and return but in the cases where a group is just basically one sound, it's just easier and uses less system resources to put the reverb plug-in right on the Aux and adjust the mix from the plug-in. So in this case, I did that. So I'm soloing the claps. One little note I want to make here is that I have all the Auxes solo safed, so I can solo individual instruments in the group. If I had these solo safed and not the groups, then soloing your group would solo everything within the group. So... We want to be able to break it down a little further than that. That's why it's set up this way. A lot of times when the mix is almost done, I'll change it—where I could solo the group—once I'm really happy with the balance of each thing in the group. the Renaissance Channel... These 3. That's the Clap sub, without any processing. All that does is remove some room rumble down at the low end. This plug-in is another EQ that did exist there. It looks like it's just pulling a little out around 4k to get rid of some of the harshness of the claps, or whatever, with that. The compressor... We talked about that. See, by compressing, we're bringing down the attack at the front part of the claps, where the most level and the most density of the room sound is. That's being compressed down, and as the compressor releases, and the gain comes up, it's bringing up the room. Which is really what we need in the mix to hear. You don't want to hear a dry clap! This doesn't sound like anything. The Multiband I'm not sure what that was for. That existed in there too. It looks like that's being used as compression mostly in the high end. It is probably helping the room ambience. Yeah! Then the last one is because even with that amount of ambience, the room wasn't really speaking enough in the track. We wanted to hear a little more ambience on the claps so we put this Altiverb in here with a medium-large room. It's a little deeper room, a little stronger than just using the room ambience. But it attaches nicely to the real ambience. Ok, so I'll play the track now, with and without that last reverb we added. It just melts the claps with the rest of the track. Ok. Next, we have the bass. There's two basses in this song. This is the main bass here. Just a little 16th note groove in there, but it helps. Okay! So those are bussed together. They make up the same part. we have another Pultec EQP-1A and if you look, it's the same kind of deal. Boosting the low end and attenuating the low end, which gives you a low end boost and a little cut in the muddy region of like 150-200, and then another boost at 3k just to get a little attack. And that's all we did to the bass. Usually, in addition I would be compressing a bass a little bit, but since this is a sample of a live bass, and not a live played bass, dynamically it's very consistent, so we don't need any compression on it. Now we'll solo just the bass and drums so you can hear both these elements with the processing they have. So that's where we are with the drums and bass and I'll bypass all the plug-ins so you can hear them without any of the processing. All the processing just gives a little more punch, a little more color, it makes it a little more vivid. Next, we're gonna go to the pianos. We have two electric pianos. One that's a line, the other one is playing an octave and the downbeats. And there's an acoustic piano in the Intro sections also. See what he plays over here, this is different in this. Ok. So let's look at the processing of this. —minus that low cut there on that Rhodes— of each other, which is just a high shelf, just to brighten them, and make them a little clearer. The two Rhodes's have this plug-in, which is a widening plug-in. in the frequency domain like this. There's another way to do it with phase, but you have to have some width in the signal in order for that to work, so we did it with these, because they did a little better widening with this signal. Ok, so I'll play the piano parts with those plug-ins on them, and then we'll bypass them so we can hear the difference. I used this widening plug-in on the pianos because I didn't want them to clog up the center. They needed to be pretty predominant, but I wanted them to be more of a feel on the sides in the stereo field to leave the center opened for the lead vocal, which needed to be very focused, the bass, the kick and the snare, which needs to punch and needs to be very direct and right there. So I wanted to move the other instruments out of the way of that, and that gives a nice stereo width and a nice spread, and it keeps things clear. I know we started on the guitars before, but let's get a little more into that group of instruments now. You heard this main rhythm guitar. And the nice thing about this is when you put the other guitars in —now these are all going to the same guitar group— whatever other part is going, you ear gets sort of pulled to the movement, to that panned guitar, so you never really lose that main rhythm, even when there's other licks going on. Now all these guitars have been processed together as one group, since all their sounds really work together perfectly. So I'm gonna bypass everything here, and we'll go through the plug-ins so you see how this is all processed. Ok, so that's with none of the processing and none of the plug-ins on. The first plug-in is a Sansamp, which is a guitar amp simulator. We're just using it to add a little punch in the mid-range and a little grit, a tiny bit of distortion. It should still be clean guitars, but it's giving a little bit of character. Let's put the Sansamp back in, and let's listen to this equalizer too. Ok, let's move on to the compressor. Let's play the same passage with the compressor. The reason for compressing this guitar is all these parts work together as one group of instruments in the song, and it just seemed to work better if it was more level dynamically rather than one adding a lot of level to another one coming in, it just seemed to feel better with it all sort of melted together like that. The settings are a fairly fast Attack, so we're not getting a lot of the transient through, it's clamping down right away. So it'll release along with the release of the guitar, and just sort of bring up the tail end of the notes. The main thing is it's reacting to that rhythm, and the other guitars sort of fit between it very nicely, rather than ride over it. Ok, Compression ratio is at 12:1. It's a pretty hard ratio. That means for every 12dB change going in above threshold, there's 1dB change coming out. So it's holding it pretty tight. Next thing we have here—now this existed on the original session— is the Multiband EQ. And what it's doing is it's boosting the upper two bands of it to make it a little brighter. But it's also clamping down a little bit, so it gives it a nice edge, but the edge doesn't get harsh, because when there is a lot of energy up there, it brings it down a little bit. And then very last is a reverb, the EMT 250. We're at 0.8 seconds, a really fairly short decay time, just to give the guitars a little bit of room sound. In this case, I didn't put FX sends on the original guitar tracks and a return, I just inserted this in line, since all the guitars I wanted to have the same amount of reverb send processing on them, and this is a little easier to do if you're doing that. I'll first play it with it. I just want to play you the whole track with this reverb bypassed and without it bypassed so you can hear how the guitars fit in a nice space with it on. They don't really sound wet, you won't really notice it being wet in the mix, but it sounds like part of a whole environment, rather than a guitar dry in a recording. Now let's go on to the synthesizer tracks here. In the mix, there's some very little FX on them. The arrangement of them, and the sounds programmed are perfect for the track. Really not too much done on these, but I'll play you the parts so you can really hear how this works. This is pretty amazing what Pharrell did. And on all the Intro parts. But you're not really cognizant of hearing it in the mix, but if you take it out, you'll hear it missing. So here we are without it. The next part I want to play you is... this. Very nicely reinforcing the piano part, and giving a little edge. That's really a great keyboarder, this synth really complements the song. Again here, I'll play the B section to see if you can make out each part separately here. Now you've heard them all separately, I'm sure you can hear them all in the mix, but the first few times you hear it you don't really notice there's all that much going on, but it just sounds nice and big. Really great production he did on this. He made my job easy! One more thing I want to play too that's really in the back here is there's this sampled Gospel choir. That's their perspective in most of the song. And after we go through another section, I want to show you one part where that's sort of featured. It works very interesting. I'll tell you the little story behind that too. There is no processing on the Keyboard bus. On that EZ Rider sample, there is a filter, filtering some top end out. And there is a EchoBoy doing the repeat on it. On the big synth, a sort of raw, deep sound in the choruses, in the B sections, EQ'ed with a little high end shelf. the EchoBoy, again repeating the 8th notes —16th and 8th. And other than that, there's nothing on the keyboards. But there are on a couple of them later on, and I'm going to show you. Let's go on to the strings. There is live and sampled string tracks to this. Here's the live strings in the intro. Here is the sampled strings in the intro. Here is the live strings in the hook. And then there's another set of sampled strings that come in in the second half of the hook. So that's the string parts for the song. On the top live strings, there is a filter, an equalizer cutting off some of the low end —since this is a live one— to get rid of some of the room rumble. And then a little top for definition. There's a peak here around 5k, and then a shelf starting just below that but extending out. And this is a compressor on the strings just to keep that even in there, and since they're live and there's some dynamics in there that all wouldn't cut through evenly in a track like this, so there's some compression just keeping them even. a fairly fast attack, and a fairly fast release here —1ms and 50ms. A 2:1 ratio, so it's not a really hard ratio. For every 2dB change in, you get 1 out, which is really enough for this part. we just wanted to keep that dynamically in the track. It's a sort of general compression. Ok. The processing on the String bus, on the subgroup, is just reverb—Altiverb again. just to be a little tighter in the mix, not really a real space. So I have a mix of my own Impulse responses for Altiverb, which is very easy to do. And this is a sample of the old Eventide SP2016. The real one, one from the 80s, not any of their later imitations, so it's a very special sounding reverb, it's really nice, and it just has a nice shape to its decay. So this is a sample of a fairly short 2016 2.4s stereo room. It's a very bright and short reverb. I just want to play you this section too so you can hear the higher part. So there's a nice sheen on top of it without EQ. Now I'll play it in the track, with and without it, both those sections. —I'm not sure exactly who conducted everything— it's Hans Zimmer's people, with who Pharrell works with a lot. He did the live strings, and then he did the keyboard strings. And they mix really well together! That pretty much takes care of the track. Let's look at the vocals a little bit. In different sections of the verse, B section, wherever there's a single vocal, you see them recorded on separate tracks. Sometimes there's a slight overlap. Sometimes it's just a reason for having a slightly different amount of reverb on different lines. So we have the A section of the verse. Now, notice where it goes here to the B section of the verse. It's a little louder, and a little wetter. That's deliberate. It's just a little lift there. So you notice the reverb level there, and then on that next track. So it's nice that these lead vocal tracks are split up because each of them can have their own little space to live in. They sound just slightly different from each other. A compressor, which is a fairly mild compression on it. These compressors on the lead vocal were there when I got the file. They sounded good, they kept everything in place, so I just left them like they were. sort of keeping it in the center —for the pitch. There's very slight action on that so you don't really hear it. And let's look at the processing on the lead vocal coming back. So here's the lead vocal group. A sharp cut for getting rid of subsonics, mic pops, anything like that. A little boost for warmth and a boost up there for air. A medium soft knee. Compression is 3:1. Looks like a maximum about 6dB. That compressor I've put on there to keep everything solid in the track. And then after that, we go to a de-esser. So it's just gently attenuating with these S's, probably 3 to 4dB. And then the old multiband. That keeps it nice and bright but brings it down before anything will get harsh when it reaches Threshold on the top end. We have two sends on most of the vocals going to one reverb and one delay, and I'll show you what they are in a second. On this one, you see they're going to two sends over the same reverb. That's because one of them is automated so we can have a base amount of reverb, and then what we need when the other one comes on and adds some to it. We could have done it just by automating one, but in this way, it was just sort of easier because we have the amount here, and we set the amount in another section. This delay just comes on this word. Just on "Yeah!" So that's what that does. —between reverb and dry— because everything assigned to the subs I wanted to have the same treatment. Now on the vocals, as I've showed you before, there's slightly different reverb on different tracks, there's delays automated, a slightly different delay on different tracks. See there is the delay for that "Yeah" at the end. Here is a vocal reverb. Here is another delay. And those are being fed from sends, and notice all of these are being bussed back to the Lead Vocal Sub. So the tracks are sending to these FX, the tracks are feeding the sub, and these FX are coming back to the sub. So when it goes into that Stereo sub, it has all the FX in the proper perspective. If you want to see what this is here, the delay is EchoBoy, 1/4 note. the 2016 Eventide again, the Altiverb, it's slightly longer, 2.8 instead of 2.4. And actually, it gets chopped down a little bit, so it's even a little shorter. a 1/8th and a 1/4, left and right. That takes care of the lead vocal. Now you see the word Air in all of the B sections has repeats, and you see those open up, automated on these tracks. And the other tracks just pretty much stay with a little bit of delay and a little bit of reverb. Here is the B section vocals with their effects. Notice the "Air." This one is "Air delay", that's what we're using on that word —an EchoBoy. But it's also being sent back to the reverb, and quite a bit of it, so that delay is nice and wet in the stereo perspective. Ok, so also in the chorus there's only other than all those stacks of voices of Pharrell, there's a pair of vocoder tracks from Daft Punk, the Robots tracks. It's a pretty interesting vocal to work with, isn't it? Anyways, the only thing I'm using on that is just a little bit of EMT 250. 1.2 seconds in line, just to give it a little space. On the Robots track, and on Pharrell's track, a Flanger comes in, just on the last chorus. I play you the second chorus. So there's something a little different happening in the last chorus there. Remember earlier I showed you that very faint Gospel vocal and that vocal sample there. There's a section here that was originally going to be a rap first. But nobody found anything that would work and it was going to be left instrumental. we took that EZ Rider vocal and the Gospel vocal and turned them way up. There is Altiverb, but now we have the King's Chamber of the Great Pyramid, which they actually have a impulse response of, with a 12.2 second decay time. And then that's going through the Imager to widen it out. Coming back to the Vocal Bus... Or the Synth Sub—that's where it's in. And then, it's also feeding a Flanger. So we have the reverb coming back widened and the reverb coming back flanged. I think it creates a nice, mysterious effect in that section. I'll solo the two elements so you can hear what everything exactly is, which is this EZ Rider vocal, and the Gospel voices. I'll play it a little bit first, and stop it so you can hear the reverb. The King's Chamber! Anyways, I'll mute those sends so you can hear it without any of the FX. And notice that when that section ends, the FX returns are muted so it comes in nice and dry when it hits the next B section. Now the Background Vocal Sub. We have... EQ adding air and removing some low end, and a couple of little tweaks in the mid-range there. This fattens the background vocals up a little bit. And... A De-Esser, and a Multiband. Pretty much the same FX as the lead vocal, but adding the doubler to it. So we don't have to go and solo each one of those. There we're using a UA 1176 plug-in, and it's just doing to keep those vocals like this, solid in the track. About 5 or 6dB of compression. The 1176 just has the right character for that kind of thing. And then after that... This plug-in. It's a very interesting plug-in, this is from McDSP, the AE400. If you look at it, it's very similar to a Multiband Compressor, but rather than crossing over into a band and out of a band, and it compresses in this band, you set it like a parametric equalizer, and when it goes above the threshold, within that band, it attenuates that band. That you want it to respond to a wider trough, to more of a range of frequencies, rather than this one ring or resonance. And then the next plug-in is just an EQ adding a little fatness down there, and a little air way up there. Let's go to that. Let's go to one of the ones without the Flanger. Ok. Here is the Robots with no processing. But they still have the EMT 250 on them, it's on their own track. So let's go through that first. I'm gonna take that off. Ok. So here it is dry. Ok, that's the reverb that's on them. So next we go through a compressor, the 1176. I'll play it first half without it, and then with it. We're getting a lot of gain out of that compressor too. The next thing is the AE400, this is gonna be very subtle. First half without it, second with it. This is getting a little of the sibilants out, and there's a peak in there that gets a little harsh around 6500, so it just pulls that out when it needs to. If I EQ'ed it out, it would get a little dull. With this, it just grabs it where it needs to. That parametric equalizer just adds a little air on top and a little fatness at the bottom. Let's hear it without it first half, then with it second half. So the last element of this mix I'd like to talk about is the processing on the stereo bus. All those subs are mixed down to a stereo bus here. The first thing on the bus is a compressor —the UA model of the Neve 33609. The second thing in there is the Sonnox Oxford EQ. The third thing is the Universal Audio Massive Passive. And the fourth thing is the Fabfilter Pro Limiter—Pro-L. I'll play it with all of the stuff in the chain right now for just a few bars. Ok. So let's put the compressor in. It's a little gentle compression to keep it tight. And it's adding a little gain too as you can hear. Next thing we're gonna go through is the Oxford EQ—the Sonnox EQ— which is doing a very low frequency 12dB per octave at 20Hz cut, just to keep subsonics out. It's really not affecting the program much. And we have a little boost, this is pretty much inconsequential here, a half dB, at about 2k, a little under 2k. A tiny boost, about a half dB. A tiny boost at... a little above 4k. Look at the mid-range and the top. I'm putting a little hump in the mid-range and then a shelf straight out. It'll just brighten the mix a little bit. So it just adds a little presence, and a little brightness. Notice how subtle that EQ is. Here is a half dB, here's a third of a dB, and here is 1.3 dB. That's the most we have there, and it's audible. Now the Manley Massive Passive. Now this equalizer has a slightly different sonic character than the Sonnox, and what I'm using it for is notice at 27kHz, a very broad shelf, quite a bit of boost. So the boost is happening way, way, way up there, but since it's a very shallow shelf, it's affecting the extreme top end, so, say up at 10 or 12k, it's starting to take off and this gives us a really nice sheen up there. Below that, we have at 2.2k a little boost, very broad. This adds a little presence in the mid-range. Below that, there's a little bit of cut at 180. That's the frequency —180 to 250, in that area— where things get a little woofy and muddy. So when the whole mix is together, I usually pull just a little bit out there, just to clear it up a little bit. And then another shelf way down at 47 just to give it some weight. The Manley Massive Passive is good at that. And yeah, basically I love the Sonnox in the mid-range, and for a shelf start, and for a little bit of a shelf. And then for the very top end and the very bottom, I like the Manley. And then the Pro-L is a peak limiter. So we just have it there to get more apparent level by cutting the peaks back. So here is what that does. See by compressing those peaks down maybe 6dB, it's really not affecting the punch of it too much, but we're getting that much more average level to make it competitive with what's on the radio. That's just a decision of how much you want to use. You can lose a lot of the dynamics, and the crack, and the punch and have it incredibly loud, or you can have it incredibly dynamic, but the average level will be very low. So it's just finding the right compromise to use that. So, on the stereo bus, on the Master bus in a mix, I don't put it in all at the end or at the beginning. I usually start with this equalizer. Once I get a balance on the track, I try to do an average EQ that'll pretty much work with that and sound about right. And then as I put more elements in, I just keep tweaking this. Then once it's pretty full, and there's not gonna be much more level or much more energy coming at it, then I add the compressor and set that. And then I just do a little icing on the cake with the Manley, and I get the level with the limiter. But this stuff is getting continuously adjusted through the whole mix, it's not a "set it and forget it" thing at all. Like I said I start with the EQ, I add compression, maybe in some songs I might have the limiter on first. It just depends what I want to hear, and the settings of this probably get tweaked and built around more than anything else in the mix. So on a song like this that's incredibly well written, and incredibly well arranged and played, the job of a mixer I think is to enhance, not to try to change, not to try to put our personality over what the artist is trying to do. I think it's just trying to enhance and make the whole product a little more palatable and accessible for the public. And I'm sure you noticed as when we went through, turning some of these plug-ins on and off, there wasn't a huge change. But collectively, I hope that it really enhances the song to the listener. What people need to understand is Pharrell is such an incredible producer/arranger, there isn't much Mick needs to do. And what he does is subtle but always audible and always adds a certain something to the track. He lifts it up. The rough tracks however are full and lush and everything is where it needs to be. If you get anything from this, understand that arrangement of instruments and layers of sounds is equally as important as your mix engineer. Mick seems like such an enthusiastic, happy guy and I respect and appreciate anything he has to say. One of the greats! Nicely paced walk-through of a really well-crafted production. Thanks, Mick! I enjoyed watching. What keeps the planet spinning ? (hu) Mick Guzauski :) Really Good ! Thank you ! The large number of clips labelled "bip" on such a well-produced song is encouraging to those of us who can't afford a lot of outboard instruments. The arrangement on this is insane. Perfect and just allows a mixer to not worry about fixing anything. Love Mick!! One of the best! He radiates positive vibes and I love that about him! i loved this way of mixing!! thank you Mick! I like Mick! I like the video. Thanks. No sidechain compression between kick and bass? The great thing is that I'm not only learning the mixing! but also get the idea of the arrangement!! Well this Video is more a look into Pharells awesome Production and thats great! The actual Mix happened before i would say and Mick only enhanced it really well! Anyway a good video. An amazing tutorial, loads of knowledge from the source. Apparently the song is mastered there with the plug-ins? Loved it! Thank you very much! When you send this for mastering do you keep ALL the Master Buss plugins ON? 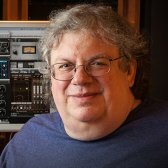 Hey Guys What is the command Mick uses at 23:10mins to bypass ALL the plugins in ALL the channels. No combination of cmd+shift+alt seems to do it and i can't find it on the avid forums. Any help/input appreciated! ;) Might even be a macro, i don't know. M A E S T R O !!! This Tuto is sooooooooo greaaaaat ! nice. This auto is sooooooooo greaaaaat ! nice. These tutorials go above and beyond what I was expecting when I bought my subscription. I got a ton of notes out of that one and I can't wait to apply them. Guzauski is an outstanding mentor. Awesome. Thanks for sharing a real blockbuster song like this one! It's a production and mixing MBA! Mick, you are just fantastic! I'm sorry but this video did nothing for me. The mix is pretty much done. I don't know what "spill" means? I assume it means when tracks spill over into other tracks?!? I'm very old school and this is not my kind of music, I'm a hard rock mixer. He seemed to talk in circles to me, a little too esoteric. And not to be mean, but the guy bugged me, I don't know why, but he did. Sorry to everyone who loves this guy. How can you not like this guy? Amazing video! Very cool. Thank you! This mix is so inspiring and what a great song and arrangement, wow! Thanks so much for show us this gem. Great job. Short and sweet and I dont feel like I'm missing anything. I too would like to know what Mic and Pre Pharrell is using on this. Excellent! Little goes a long way! Loved it gentleman! Thanks Mick. Your decisions are so tasteful! Subtle... yet they have great impact. Fab and Ben thanks so much! I love the entire mix breakdown especially with A-list artist's work (like Pharrell). Some mix sites show mix breakdowns but few with artists and engineers at the top of their respective game. Cheers! thanks Pure mix, this tutorial was the winner! Great video! It must be such a pleasure to mix music made by talented producers. The resolution is a little wacky, as a lot of others commented on; not the end of the world. I love the subtle additions Mick added in, yet he didn't touch the overall vibe of Pharrel's original vision. Enhancing the details in a tasteful way, bravo Puremix! Great video, very insightful. Like others, I too experienced poor video quality. Please upload a hi-res version. I would love to re-watch it. Also, what were the exact Altiverb ER/Tail settings? Like other tracks, it would have been highly informative to listen to the lead vocals without processing too, especially minus the reverb and delay. Vocals are the centre piece of modern pop productions and to me was the most important part of this video. I was waiting to hear about the decisions regarding the choice of reverb and how the amount was chosen. Regardless, very good video! Great video. Posted on the forum too, not sure which is best. The thing that is missing for me is how Mick approaches his automation. There is detail on the broad stroke stuff, but not the realtime fader moves. I'd love to understand more about how different people approach this and at what point during the process they do it. There are different schools of thought on this and it would be great to learn how it is approached by different people. I love vids like this! To see all this broken down and just how subtle all Mick's moves are, really hammers it home that less is more. These tracks are all pretty pristine though...so that really helps. Thanks Fab and Co. for this one! Hi! Same comment / question as jmag02 : the video quality is really mediocre. I can barely read the track/plugins names. Did you change the resolution of the videos with the website update? Cheers. Stellar tutorial! Thank you to Fab, Mick, and Pharrell for giving us this opportunity to learn. One question/comment: the video resolution seems to be lower than on previous PureMix videos. I'm connected via ethernet so I don't believe it's a buffering issue. Thoughts? Absolutely great to hear how Mick has everything ready to go in one mix arrange window; from VCA's, busses, master mix to stems. Also revealing to hear how efficient Pharrel works with truely easy and simple created sounds. But how Pharrel (and Mick) mix these simple elements with couple of high quality tracks, like great vocals, good recorded claps, a great merged kick drum sound and the ever soulfull strings, is even more revealing. What a video! Thank you for coming to PureMix! This was such a great tutorial to groove through. Great presentation. Thanks for sharing how the session was setup, and the VCA spill. Stellar.